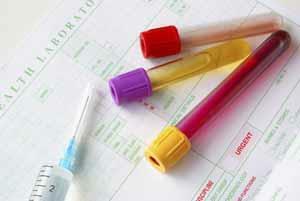 You will be contacted by the surgery if the doctor has any concerns about your test results. We do not contact patients when results are normal. Results can take differing lengths of time to come back depending on the test. When you take your test you will be told how long it is likely to be before the results are returned to the practice. If you want to contact the surgery about your results, please call after 2pm, at least one week after your test. This allows time for the results to be returned to the practice and for the doctor to review them and add comments. We ask patients to call after 2pm to help keep the telephones line clear during peak times to allow people to get through to book appointments. We have a strict policy regarding confidentiality and data protection. We are only able to release test results to the person to whom they relate unless that person has given prior permission for the release of this data. Patients should note that reception staff are not qualified to interpret test results and can only relay the result and any comment made by the doctor. Patients may need to speak to a doctor or nurse if they need further information.